"I have dibs on this space!" 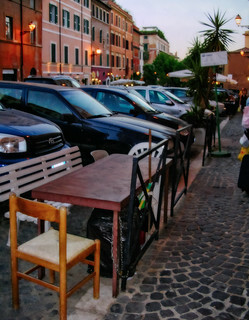 A street in Trastevere. Somebody has claimed this parking space for his own little courtyard.